I base my retirement coaching around the saying, a Retirement plan is much more than a Financial plan. So many people focus solely on whether they will have enough money to be able to retire. YES, I do believe that finances are an essential pillar to your retirement plan, but there is much more to consider. It is well known that the transition to retirement is one of the major life transitions, it is on a par with choosing a career on leaving school. How long did you spend deliberating your career, are you spending the same energy on planning your retirement? Or are you hoping that if you put your head in the sand it will go away…. It was with this in mind that I wrote my first book. But now I want to let you know that I am re-launching this book next week on Amazon. The new edition is for the international market, where the first edition was targeted specifically at South Africans. 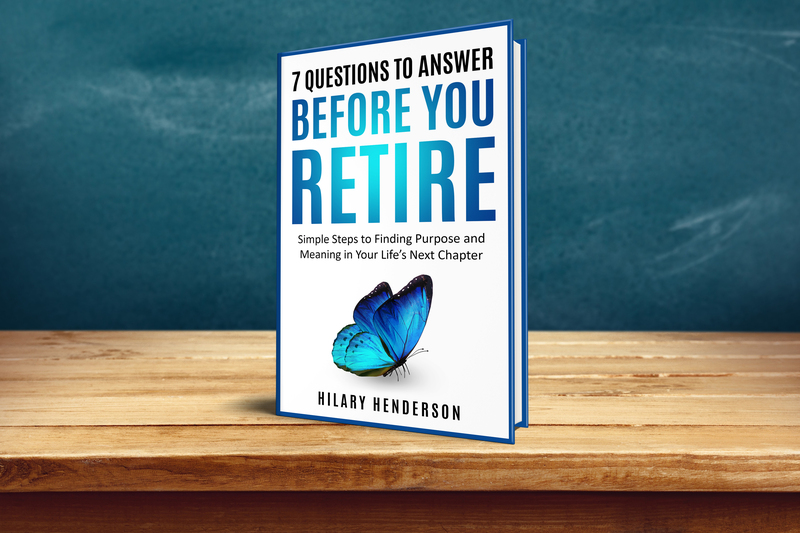 I now have a beautiful new cover and the name has been tweaked to “7 Questions to Answer Before You Retire. Simple steps to Finding Purpose and Meaning in your Life’s Next Chapter”. 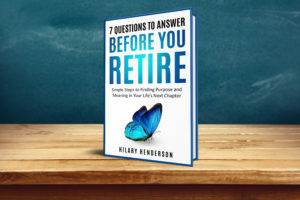 The book covers 7 out of the many aspects of life that are affected by retirement. For example, I look at downscaling your home or choosing to live abroad for economic reasons. There is also a chapter on starting your own business to supplement your retirement income and then, something much overlooked, maintaining your health to ensure you age healthily and stave off those dreaded medical bills. I have come to see that when I was working full-time, my circle of friends dwindled because I was tired after work and wanted to unwind in the peace of my own home. But, when I retired and started working from home, on my own, on a flexible schedule, I found I needed a larger circle of friends. In the book, I suggest ways to increase your social network. So, why am I telling you all this? Because, when I launch my book later this week on Amazon, it will be FREE for the first 5 days. I am giving you the heads up so you can think of all your friends who might benefit from reading the book, and when you receive my email with the link to Amazon you can send it to your list immediately so they catch it while it is still FREE! Please let me know what you think of the book, by reviewing it on Amazon. I will send you the link as soon as it launched! 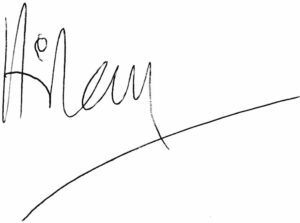 Thank you Hilary for your inspiring and uplifting and supportive messages and I really look forward to reading your book – I have been given a lot of positive thoughts and ideas from your emails. My pleasure Philippa, glad you are enjoying them! best wishes with the book launch. 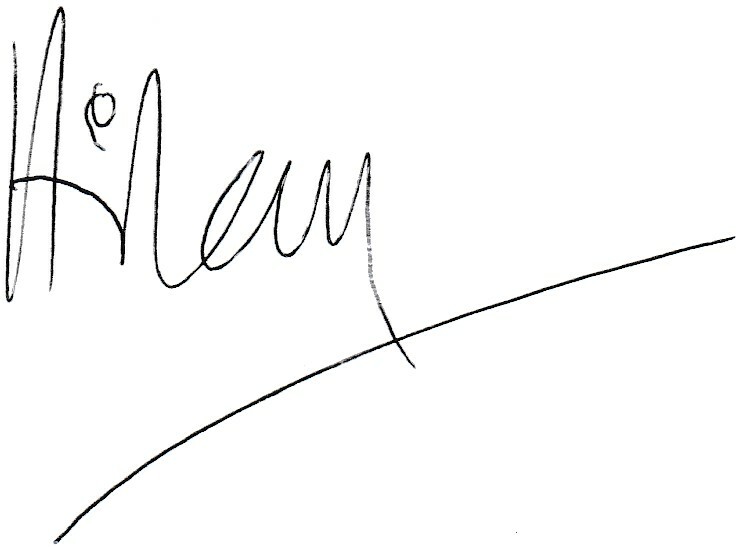 May it open many new doors and provide inspiring connections across the globe.